Not sure where to start? Don’t worry, we'll help you find the perfect card. Need help finding the perfect card? Tell us a little about yourself and what you're looking for and we'll recommend cards to fit your needs. 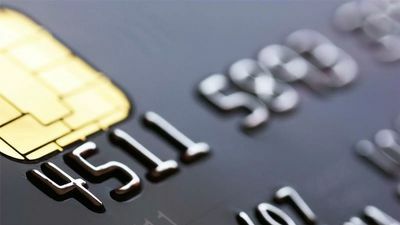 Credit cards can be complex - We can help. Looking to learn more, save money, or maximize credit usage? Get awesome articles and credit card tips sent right to your inbox. There’s a perfect credit card for everyone. Find yours. Get cash back rewards and incentives for good grades with this premium card, the Discover It Student Chrome. Like all Discover cards, there's no annual fee. and find out how you can apply here. Receive a $20 credit each school year if your GPA is 3.0 or better. Are you a student? Are you longing for a None card for people with Fair Credit? If so, the Discover It Student Chrome card could be the right fit for you. In the following article we are going to look into the Discover It Student Chrome to determine if it’s what’s been missing from your pocketbook. Let’s talk about APR. With the Student Chrome card, students will benefit from 0% for the first 6 months on all purchases. They also get 10.99% for 6 months on balance transfers. While this isn’t a balance transfer card, that’s still a below average rate. After the introductory period, your APR will bump up to a variable rate of 15.24% to 24.24%. Because this card is geared at students, it's excellent that it rewards good grades. There’s a lot to like about the Student Chrome card. If you’re a student looking to add some A+ plastic to your purchasing resources, this could be the card for you. Click the button below to go to Discover's website. This content is not provided by Discover. Any opinions, analyses, reviews or recommendations expressed on this page are those of the author's alone, and have not been reviewed, approved or otherwise endorsed by any card issuer. © 2019 CardGuru, LLC. All rights reserved.